Fresh off the Oppo Reno leaks that came out earlier today, new images of the ‘OnePlus 7 Pro’ have made their way online courtesy of SlashLeaks. Despite the fact there are only two photos to examine, there’s quite a bit to unpack here. Of the two images, the second is the more interesting. 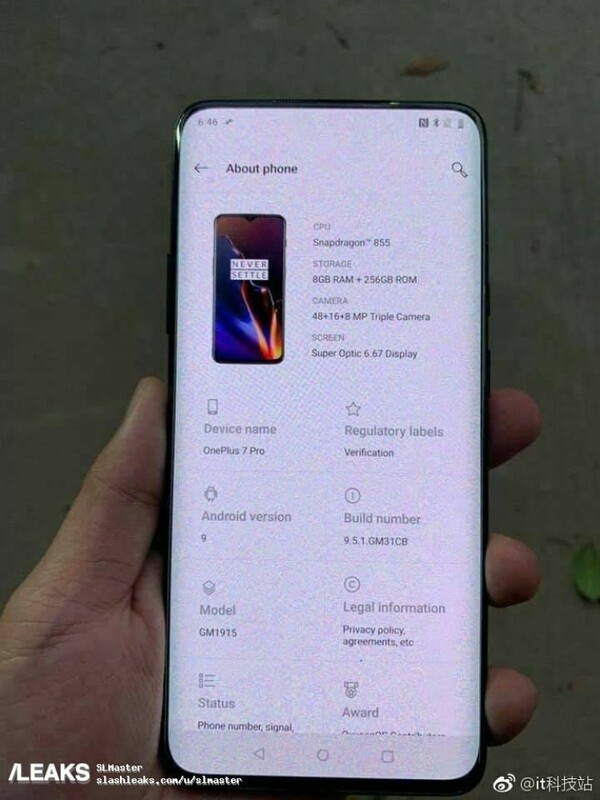 It shows the OnePlus 7’s about phone page, which includes details on its internal specifications. 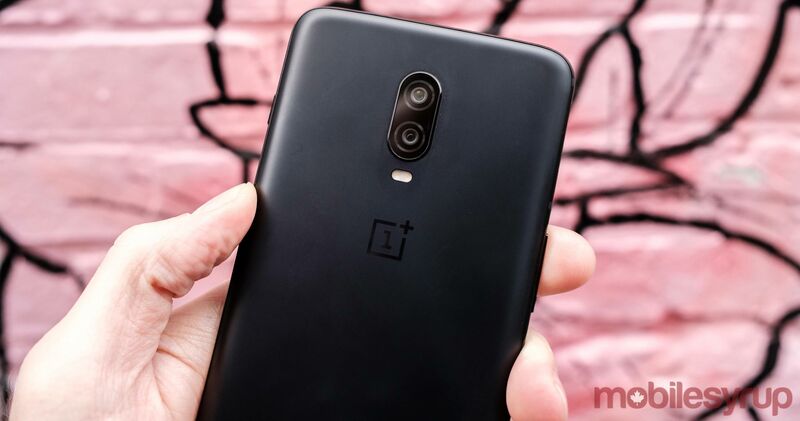 According to the page, what looks like the top-end OnePlus 7 will feature a Snapdragon 855 chipset, 8GB of RAM and 256GB of internal storage. It will also include a 6.67-inch ‘Super Optic’ display and a triple rear camera array with a main 48-megapixel sensor. 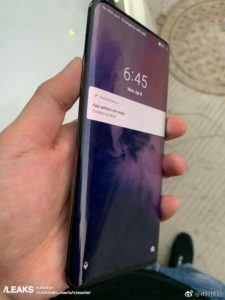 We also see, based on the first image, that the OnePlus 7 will feature a curved display. Setting aside the specifications, several details stand out. To start, the device pictured in the about phone page is the OnePlus 6T, not the OnePlus 7. Even if one were to give the benefit of the doubt and say the image represents a placeholder, there are other discrepancies that suggest the second image (and indeed the entire leak) may not be legitimate. For instance, compare the about phone pictured above with the screenshot below, which we took using a OnePlus 6T we have here in the MobileSyrup office. Missing in the first image is the OxygenOS version number. Additionally, ‘Super Optic 6.67 Display’ is a departure from how OnePlus has typically branded its Optic AMOLED displays. To date, OnePlus hasn’t used the word super in association with its Optic AMOLED displays. Likewise, the Pro branding looks suspect to me. Granted, none of these are definitive proof that the images shared in this most recent leak are fake, but I would take what we see here with a healthy dose of skepticism before getting too worked about any aspect of the phone.